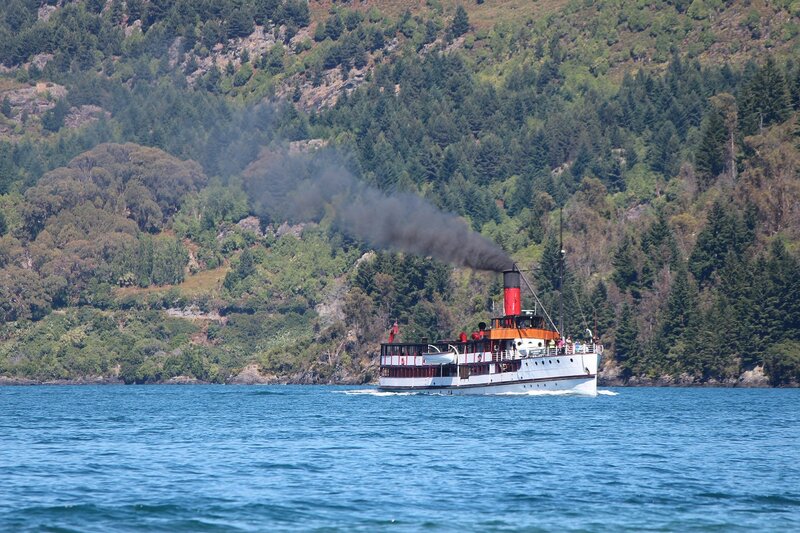 One of the enduring delights of Queenstown is the sight of the 103 year old twin screw steamer TSS Earnshaw plying the waters of Lake Wakatipu, where she has long been known as the ‘lady of the lake’. It is a fitting label, for she was constructed on the lake and has spent her whole life crossing from shore to shore. 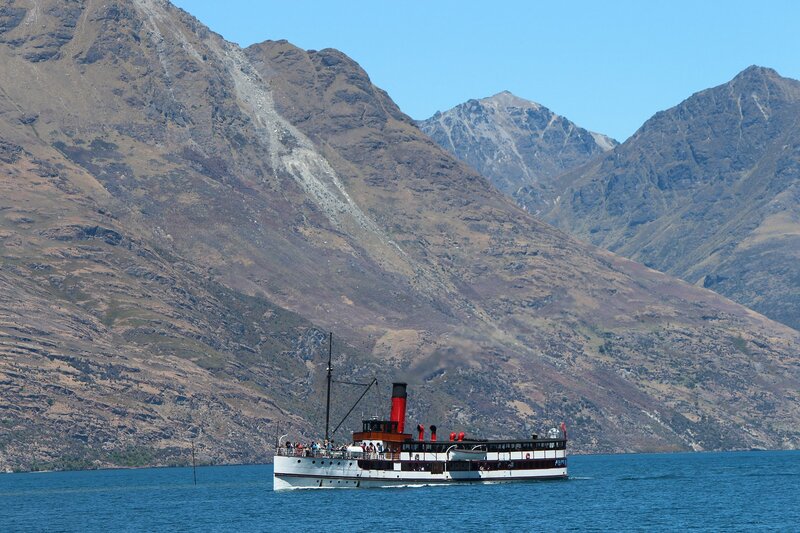 Today, as a tourist ship, she makes regular crossings between Steamer Wharf and Walter Peak High Country Farm for Real Journeys – not so very far removed from her early days transporting passengers, mail and cargo from the railway into Queenstown and to the country stations dotted around the lake. 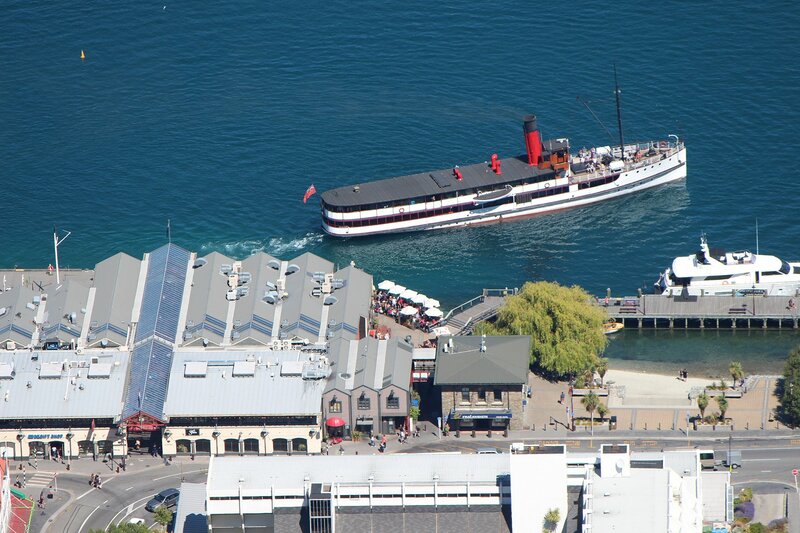 TSS Earnshaw was originally constructed at the yard of John McGregor and Co in Dunedin, then dismantled and the parts numbered. 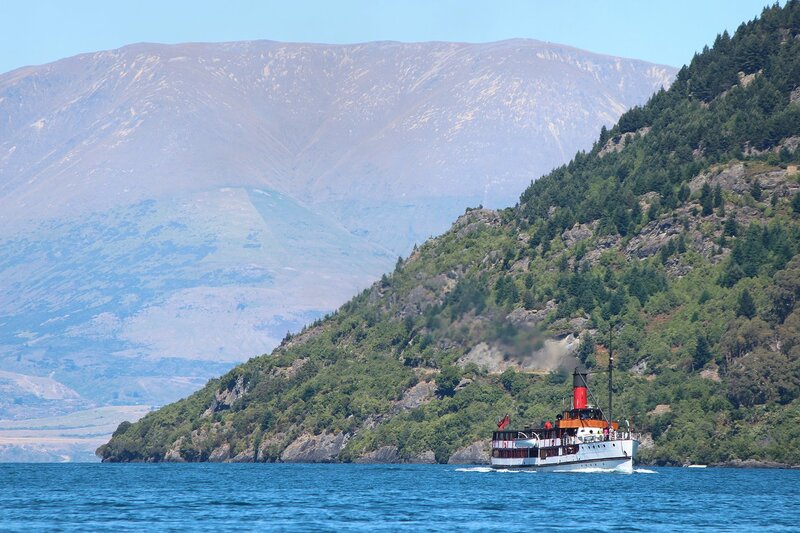 The parts were then transported across the South Island by train (rather appropriate, given that she was commissioned by New Zealand Railways) and re-assembled at Kingston, on the shore of Lake Wakatipu. 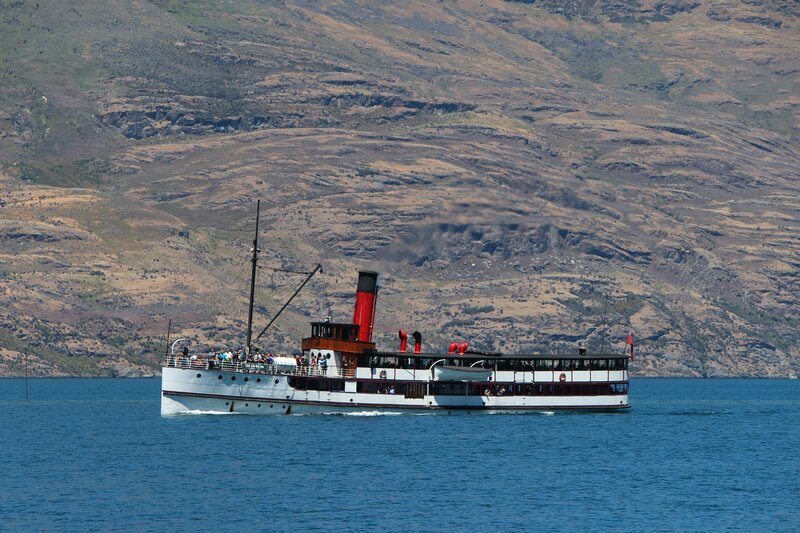 After the successful completion of her trials she steamed off on her maiden voyage on 18 October 1912. The next day was declared a public holiday so that locals could experience the new ship – not something you could ever imagine happening today! 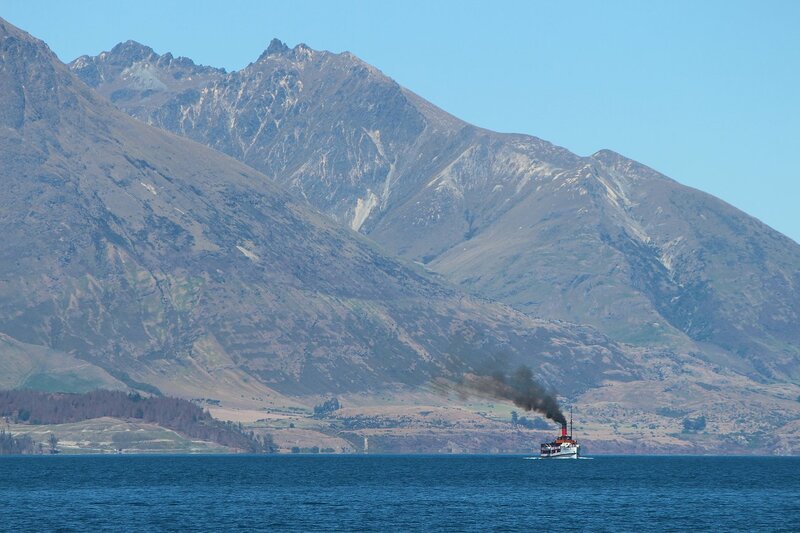 The steamship has outlasted her sister ships on the lake (PS Antrim, PS Mountaineer and SS Ben Lomond) by quite some distance (she was the sole steamship on the lake by 1950) and is now the only coal fired steamship still in operation in the southern hemisphere. 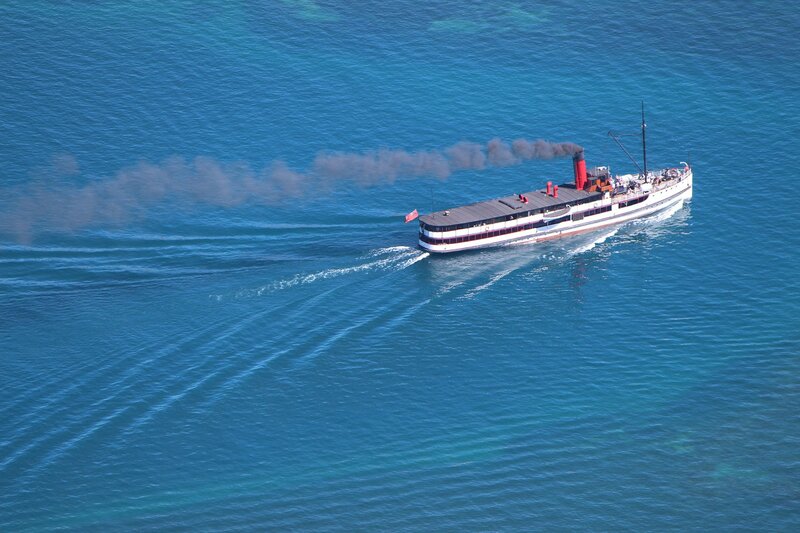 You can see more about the history of TSS Earnshaw on the website of the New Zealand Maritime Record.